This is not about getting more sleep; this is about getting BETTER sleep. More sleep won’t get you more energy if it is not high-quality sleep. I guarantee if you try some of these weird ideas, you will enjoy dramatic sleep results. Watch me talk about these sleep strategies below or scroll down to read. The most important impactful, simple, but weird strategy that’s helped me get more quality sleep for many, many years is a sleep mask. In 2003, I was on the way to Nepal for a climbing expedition, and on the long flight across the Atlantic, I needed a good sleep mask to try to sleep on the plane. At the time, I really didn’t have the money to spend this kind of cash on a sleeping mask but I bought a Tempur-Pedic sleep mask. It’s about $30. Using a sleep mask is the number one thing that has made the biggest difference in my sleep. Our brains are wired to sleep when the sun goes down. There are studies that have shown that if you shine a light on the back of someone’s knee as an example, they start to come out of their deeper sleep and start waking up. Your body is wired to pay attention to light and darkness can help set your circadian rhythm. Sure, you can use tape on the windows to make sure your bedroom or hotel room is totally dark. Or just break out your sleeping mask. I use it every single night no matter where I sleep in the world, at home or otherwise just to make sure I’m completely blacked out. At first, you might be feeling uncomfortable. But I’ve got to the point when I put it on my mask, it feels like a comfy blanket for my brain. A mask helps me sleep better from a brain perspective and just a pattern of comfort and familiarity. Get a good eye mask. I’ve tried at least 20 different ones over the years The Tempur-Pedic is one is the best. I love it by far. The second weird item that I would encourage you to consider are some blue-blocker glasses. I use blue-blocker glasses when I lay down in the bed in the evening. I put these on so that I can watch TV and not get blasted with a bunch of blue light. That way my brain knows that it’s time to start settling down and go into snooze mode soon. You can find some good blue-blocker glasses for about $30 on Amazon. While we’re still talking about light, if you want to read an old-school physical book in your room, I recommend a simple orange fluorescent light. You can get this at Home Depot or Lowe’s or Menards. They’re very inexpensive. They’re also quite kind of romantic, akin to warm candlelight, really warm. It’s a nice light for reading and hanging out with your loved one. The fourth item in this category of light is really important. Use a built-in app called FLUX for the iPhone and the Android that is a blue-blocker. You can also put a blue-blocker on your PC or your Mac. On the Mac OS, they call it Night Shift and you can toggle your settings so that it turns on and off automatically. Pulling the blue light out – whether it’s with a light bulb or your blue-blocker glasses – and then eliminating light completely with the mask at the end of the night is incredibly important. My doctor, who I worked with to help me on all my life performance and general health, suggested I look into using mouth tape. I also consulted with a sleep expert who proceeded to talk to me on the phone for an hour explaining all the health benefits of breathing through your nose during the day. Apparently, it is all about getting more oxygen. Mouth tape can also help most people dramatically reduce their snoring. It may not eliminate it, and it did not eliminate it for me, but made it made it much less intrusive for my wife. The tape helped me get better quality air throughout the night. Taping your mouth forces you to breathe through your nose. Taping your mouth shut with either the SomniFix (see above) or the 3M microtape (see right) costs me about 25 cents a night. Getting that oxygen through your nose makes a big difference. Another oxygen-related tip is to use a product called The Mute to help you breathe more and snore less. This will help you wake up feeling better, more restored, and with more energy for the day. The Mute is a simple product, a similar idea to the breath strips that go on your nose. The Mute is actually a little plastic gadget that you put in your nose. I know this sounds kind of gross, but you stick this up your nose and it flares out your nostrils. It feels like a turbo. You definitely get more oxygen up through your nose. 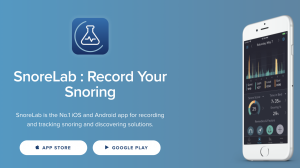 Item number seven is SnoreLab, an app that you can get on iOS and Android to record snoring in the room. Then you can track preventive items that you might be using to try to reduce your snoring. The app rates the evening as far as how much and how loud your snoring was and you can see a direct correlation with whatever product you’re trying to help reduce your snoring. Even if you don’t have sleep apnea, snoring does dramatically have an impact on your potential health, in your cardiovascular health, and many other areas of health. Sleep apnea definitely undermines your sleep. Even moderate or mild sleep apnea I’ve learned can dramatically impact over time just degrade the quality of sleep you’re getting. Check out your quality of your sleeping and snoring to see if that could be an issue. An inexpensive and convenient way to sleep better is to keep the room cold. I understand if you have a mate, it might be difficult to set the temperature to what you really need and what you prefer. 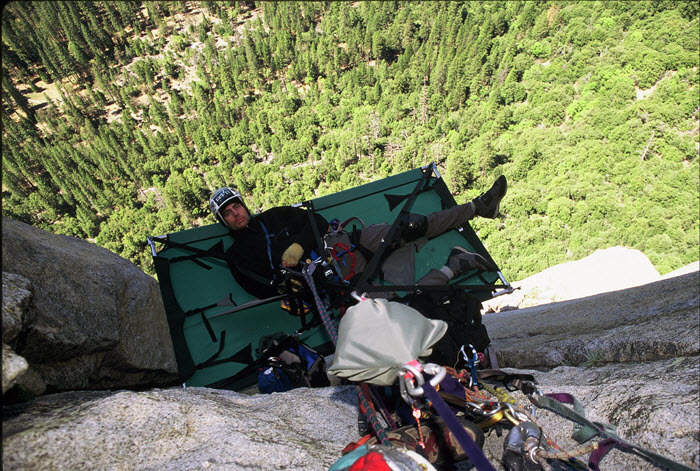 Sleeping cold is recommended by every sleep professional I’ve ever interviewed, studied or had any consult with. Keeping your room at about 68 degrees is the optimal temperature. The challenge with this for me is that my wife likes it warmer. As I travel a lot, I know when I sleep best. I’ve tracked over 1,000 nights. Cool down your room and you’re going to sleep better. Negotiate that with your mate on how you need to make that happen. I don’t normally like to sleep with earplugs. But, if there is some roadwork going on in my area and some traffic noise, I have sleep earplugs nearby. I don’t love them, I don’t like being blocked off from the sound; but if it’s noisy, it’s better than trying to sleep with all the noise. I recommend earplugs especially if you’re sensitive to the noise in your environment and you’re easily awakened. I’ve tried at least 20 different memory foam pillows over the years. Pillows can make a huge difference in your neck angle and that impacts your oxygen intake. Pillows also affect getting into deep sleep and how long you stay in deep sleep. If you stay on your side, which also can help reduce snoring, that can help you have a better night’s sleep for a lot of reasons (I believe it is based on our need to be ready to defend ourselves in the middle of the night when we were cavemen). Sleeping on our side is actually thought to be a more relaxing way to sleep subconsciously, and the right pillow can help. I don’t have a specific product to recommend but just look at your pillow and see how your neck feels in the morning and how your back feels. This is expensive but could be a game changer. I resisted this for many, many, many months. But, when I would go away and sleep in hotels, then come back home to my own bed, I started noticing something and my wife noticed as well. Our bed was really bothering our backs. Then, we went on camping for a month and we slept on the ground for a month. To my surprise my back felt better. The back pain returned when I got in my bed. If you have a chance to go out and sleep in hotel beds, what I would advise you to do is not worry so much about the brand of the bed that you might be sleeping on. But, monitor how you feel in the morning. Was it more firm than your bed at home? Did it have a soft pillow tip? Did it have memory foam? What was it that impacted your sleep on that particular mattress? If you do mattress research, you will find there are so many different types and philosophies. We started out and came back to Consumer Reports that rated Avocado mattress the number one mattress in their study. We ended up buying an Avocado mattress. It’s the number one rated mattress by Consumer Report and features natural latex foam. That means it is not hot like memory foam. The number one mattress issue for me was I was sleeping too hot and waking up sweating. Latex foam is a much more breathable than traditional memory foam can be quite hot. Nobody wants to buy any mattress; it’s just like having to buy tires. But man, what a huge difference it can make. We donate 100% of our affiliate link revenue to charity. What is helping you get better sleep? Please leave a comment below, and share this via Social Media if you’ve found it helpful. This is soooo good! 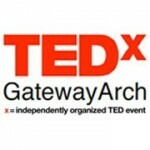 Thanks for compiling all these great, personally tested, ideas into one video. In my quest to improve my sleep experience, I’ve successfully tried several of these ideas and now want to try the others you have identified. Having been diagnosed with sleep apnea 15 months ago and now using a CPAP device, I have come to really appreciate how important a good night’s sleep is. And, how challenging it can be to get it. I’m sleeping much better now, but I’m convinced there is no one “silver bullet” for good sleep. These items work in concert to help improve the quality of sleep. I did not realize how so many aspects of my life were really suffering due to poor sleep. Mental acuity, physical stamina, health in general, have all improved dramatically as I have incorporated these items into my nightly routine. I look forward to further improving my sleep experience with these other ideas you have provided. I’m so glad you found this helpful! I’ve been using a dental appliance instead of a CPAP for a little over a month with good results. It’s not a perfect solution as it’s uncomfortable to use and way more expensive than CPAP, but lighter and more compact for travel. I agree with you that there’s no silver bullet, but going after better sleep from multiple angles is the most effective approach, and worth the pay off in vitality it can provide. Thanks for commenting and connecting with me!